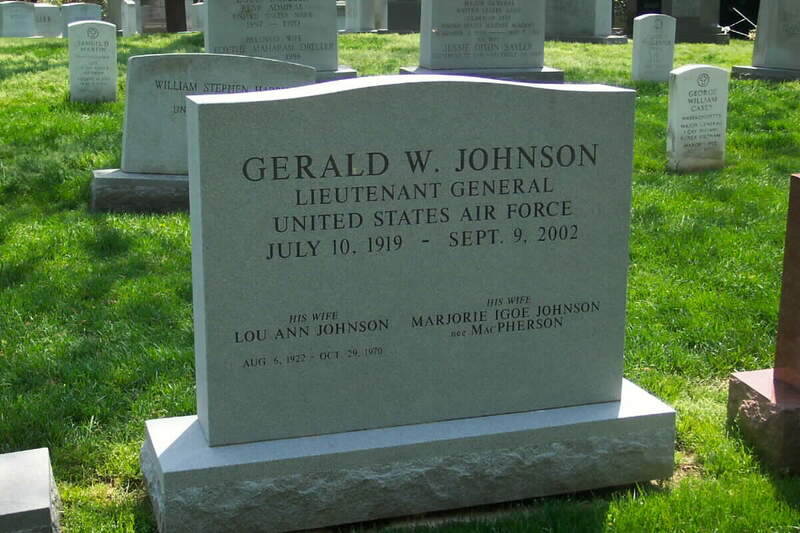 Lieutenant General Gerald W. Johnson was the Inspector General of the U.S. Air Force. He provided the secretary of the Air Force and the Chief of Staff an evaluation, through inspections, of the effectiveness of Air Force units, and he monitored worldwide safety policies and programs in the interest of accident prevention. He also directed the U.S. Air Force counterintelligence program and is responsible for security policy and criminal investigation within the Air Force. 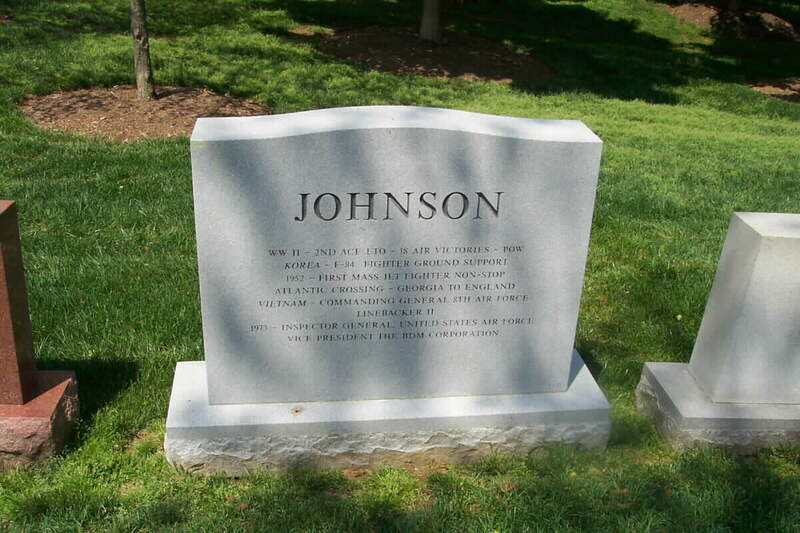 General Johnson was born in Owenton, Kentucky, in 1919. 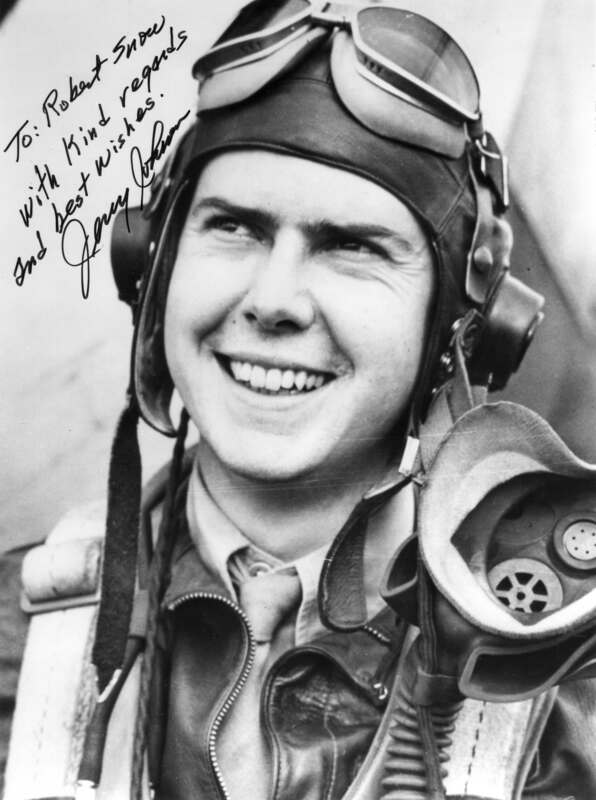 He entered military service in 1941 as an aviation cadet at Randolph Field, Texas, and was graduated from flight training school and commissioned a second lieutenant in the Army Air Corps in April 1942. During World War II, General Johnson was a member of the Eighth Air Force and served in the 56th Fighter Group. He was the first "ace" in the 56th and the second "ace" in the European Theater of Operations. He is credited with 18 air-to-air victories. He flew 88 missions in the 15 months of combat duty before being shot down and spending 13 months in a German prison camp. Other command highlights include: commander of the 508th Strategic Fighter Wing (F-84) from 1954 to 1956; commander of the 4080th Strategic Reconnaissance Wing (RB-57, U-2) from 1956 to 1957; commander of the 95th Bombardment Wing (B-52, KC-135) at Biggs Air Force Base, Texas, from December 1963 to July 1965; commander of the 305th Bombardment Wing (B-58, KC-135) from July 1965 to June 1966 at Bunker Hill Air Force Base, Ind. 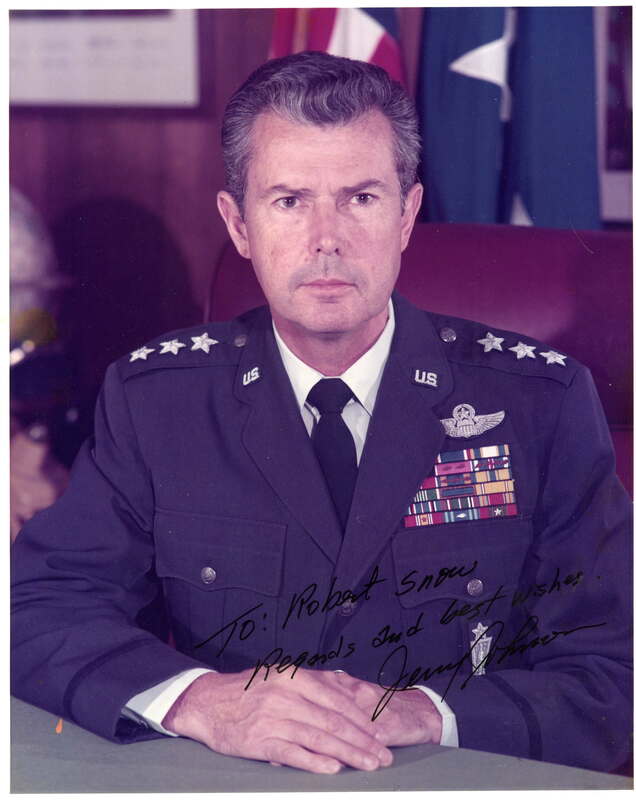 ; commander of the 825th Strategic Aerospace Division (B-58, KC-135 and Titan II Missile) at Little Rock Air Force Base, Ark., from July 1966 to June 1968; vice commander of Second Air Force at Barksdale Air Force Base, La., from June 1968 to April 1969; and commander of the 1st Strategic Aerospace Division at Vandenberg Air Force Base, Calif., from April 1969 to August 1969. Command Headquarters, from August 1969 to September 1971; and commander of the Eighth Air Force, Strategic Air Command with headquarters at Andersen Air Force Base, Guam, from September 1971 through September 1973. General Johnson was appointed the Inspector General of the Air Force on October 1, 1973. General Johnson is a graduate of Boston University and has done graduate work at The George Washington University. He has completed a number of military courses and combat crew training schools including the Command and General Staff School, Fort Leavenworth, Kansas; the National War College; B-52 and B-58 combat crew training; and the staff ballistic missile course. His military decorations and awards include the Distinguished Service Cross, Distinguished Service Medal (Air Force design) with oak leaf cluster, Legion of Merit with two oak leaf clusters, Distinguished Flying Cross with four oak leaf clusters, Bronze Star Medal, Air Medal with four oak leaf clusters, Air Force Commendation Medal, Army Commendation Medal, and the French, Croix de Guerre. He wears command pilot wings and the Senior Missileman Badge. The General's wife, Lou Ann Johnson (3 August 1922-29 October 1970) is buried in Section 5, Grave 31. The General was buried in this location with full military honors following his death on 9 September 2002. The General's second wife, Marjorie Igoe MasPherson Johnson remains living as of May 2004, however her name appears on the stone.